Are your sports making your ADHD worse? With more studies documenting the potentially long-lasting effects that concussions and mild brain injuries can have on intellectual skills, researchers from the Children’s Hospital of Pittsburgh decided to investigate how youngsters with ADHD may be affected by falls or trauma to the brain that often occur during high-contact sports such as football and soccer. Previous work suggested that ADHD can make children more prone to traumatic brain injuries, and that severe enough injuries can also contribute to a form of ADHD. So they focused on all children who were admitted to their hospital for mild head injuries from 2003 to 2010. Mild traumatic brain injuries include any blows to the head that do not require brain surgery — which is the case for the majority of concussions. The researchers investigated 48 children with ADHD who had head injuries patients and 45 similar children who did not experience trauma to the head. A team of brain experts then gave all of the participants a detailed test to assess their cognitive abilities and track any new disabilities during follow-up visits up to seven weeks later. The measures recorded whether the children were able to function normally on their own, or whether they had behavioral problems or required supervision to get dressed or navigate stairs. About 25% of the patients with ADHD suffered what the scientists defined as moderate disability in which the children were basically independent but still required some assistance with behavioral or physical problems, and 56% showed good recovery, or no residual headaches or abnormal findings on brain scans following the injury. By comparison, 98% of the children without ADHD reverted to their initial cognitive function scores after brief drops following the trauma and 84% had recovered completely. The researchers say there may be several reasons why children with ADHD experienced more significant disabilities from their head injuries; for one, these kids may have already had some deficits in certain functions that progressed over time, and the testing may have simply picked up this deterioration, independent of the effects of the brain injury. It’s also possible that ADHD interfered with the healing process or made rehabilitation efforts less successful. That doesn’t mean that falling off a bicycle and hitting his head will leave a child with ADHD disabled. But the findings do suggest that the relationship deserves more study, especially given recent data among adults that connects concussions with cognitive problems and neurological conditions such as Alzheimer’s. The results also highlight the need to be even more vigilant in protecting children with ADHD from head trauma, by ensuring that they wear helmets when riding bicycles or playing sports in which they’re likely to fall or get hit in the head. Doctors, too, may need to monitor ADHD children more closely after any head injury and consider more intensive treatment and rehabilitation strategies to help them recover. The study is published in the Journal of Neurosurgery: Pediatrics. 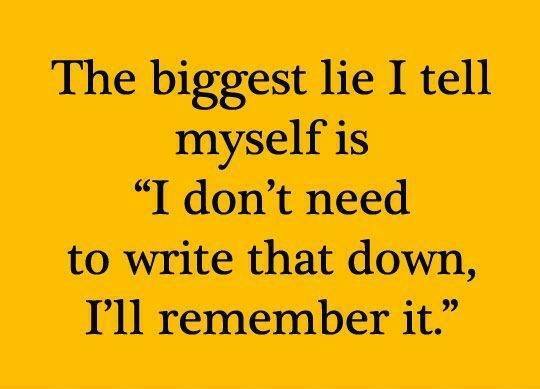 What’s your biggest lie you tell yourself? When my two children were diagnosed in their mid teens with ADHD, I asked the doctor what caused it. He said it was hereditary. For me, that was like a punch to the gut. I knew right then and there that my kids had inherited their ADHD from me. And I knew that I must have it too. How did I know? I knew because I had seen them struggle, and their struggles were quite familiar. I had confronted many of the same challenges they were then facing. ADHD presents unique hurdles to the people who have it. For my children it meant constant problems in school and poor grades. It meant difficulties in time-management problems, lack of focus, and impulsivity, along with a host of other issues. Worst of all, it meant low self-esteem. All the years of unwelcome report cards, conflicts at school, and excessive effort to do what other kids did so easily chipped away steadily at my kids. Seeing my children’s spirits slowly deflate over the years was one of the most painful things I have experienced. I blamed myself. My children had inherited ADHD from me and, worst of all, I had let them down by failing to identify the problem sooner, when we all could have benefited so much from knowing and understanding the cause of our troubles. In the years since their diagnosis, my children and I have found many ways of coping with our particular challenges. Because of our persistence and creativity, we have managed well. We have all succeeded in different ways none of us could have imagined back then. Now, at a time when others my age retire, after serving as the Seattle, Oakland, and Los Angeles METRO transportation leader and after founding and recently selling Flexcar, the award winning car-sharing company, I am embarking on a new career, as founder of the Edge Foundation. It has been a long journey to this moment, one that, in retrospect, seems inevitably driven by three compelling moments. My two children, Guy and Kelsey, had both been tested extensively in high school at the recommendation of a teacher. That is how I discovered their ADHD. But during Kelsey’s senior year of high school, her chosen college required that she be tested again for her condition in order to be considered for special learning accommodations. The tests were administered one day a week for three weeks. On the last day when I went to pick up Kelsey from her testing, the psychologist drew a bell curve on a chalkboard. The bell curve, he explained, represented the IQs of all 18 year olds in the United States, with the expanded center representing the largest numbers, which were of average intelligence. He asked Kelsey where she thought she fell along the curve. Obviously uncomfortable, she finally pointed to the left side and said, “About in the middle, a little below average.” She was wrong. The psychologist set us both straight. Although my daughter fell into the 20th percentile for reading, spelling, and math, her overall IQ was way above the 90th percentile. I’ll never forget what happened next. We left the doctor’s office and Kelsey looked at me, gave me a high five, and said, “Dad, I’m brilliant.” No words had ever meant so much to me, and nothing was truer. I wished that every parent of kids with ADHD could hear such joy and self-confidence in their children’s voices. In my family, one of our strategies for coping with ADHD has been to work with personal coaches. This is a method I had become familiar with through decades in the corporate world, where employing a personal coach is common. I decided to hire personal coaches for myself and my kids as a way to help us all stay focused, reflect on our successes and failures, and monitor our progress on academic, personal, and professional goals. During one of Kelsey’s calls home from college, I came to understand what effect that strategy had had. She said, “Dad, of all the things you have done for me, the most valuable and most appreciated is the gift you gave me of a coach.” I was taken aback because she had not initially seemed to understand the coaching relationship and how it might benefit her. But now here she was telling me it was the best thing I had ever done for her. I thought back on the spell-checking, voice-recognition, and verbal dictation software, the specially colored notebooks and specially designed wristwatches, the medications, and complicated diets and sleep regimens, all the methods I had tried to help them deal with ADHD. Out of all the strategies, my daughter had chosen to single out coaching as the most significant to her. I couldn’t speak I was so overcome. Kelsey had seen my future. It was so simple, so powerful. 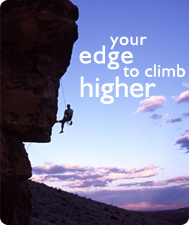 I decided right then to start the Foundation to help young people with ADHD realize their potential and their passion. And I decided that the Foundation strategy would be centered around providing each young person with a professional coach. 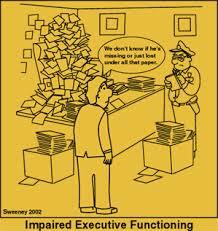 Simply put, if a coach is good enough for the CEOs in this country, it is good enough for the young people who are struggling with ADHD. Coaching is not the only intervention for ADHD. It shouldn’t be. 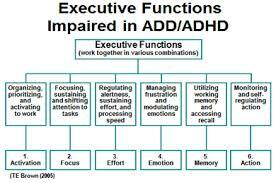 ADHD requires a comprehensive effort on many fronts. Coaching uniquely contributes directly not only to improved academic performance but also to enhanced social functioning and increased self-esteem. As such it is an important if not critical tool in an array of intervention strategies. This is why it was so important to my daughter later in her academic career. She understood then that her life is going to be about significantly more than school and how well she can do on a test. Our children are so much more than their school selves. Personal coaching, when delivered by professionals trained to work with ADHD, takes into account the entire individual and helps him or her develop fully on all fronts—academic, social, professional—with increased sense of purpose, happiness, and self-esteem. 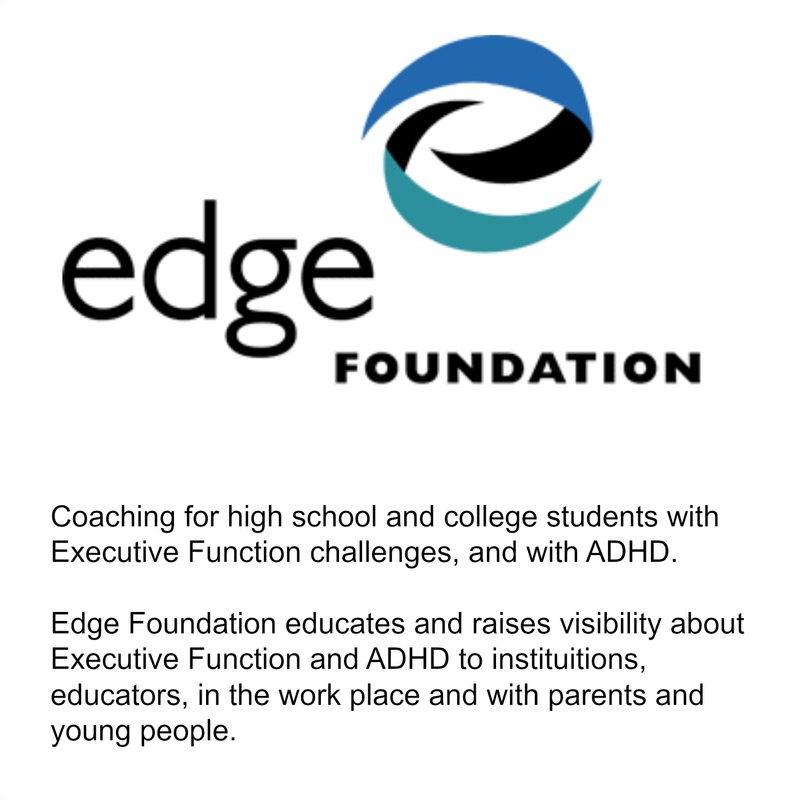 It is my goal that the Edge Foundation will be able to help you or your child and provide your family with a crucial edge in your struggles with the challenges of ADHD. A quick video which explains how Edge Coaches work with students.